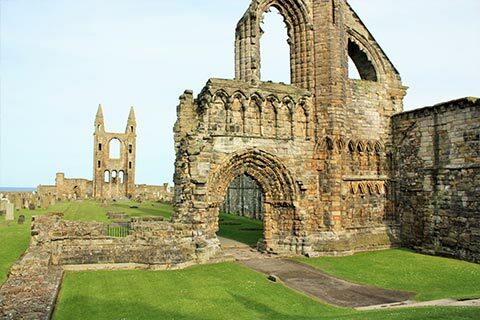 Here are my top ten absolutely favourite things to do and see when visiting the East Neuk and St Andrews area. These are sure to keep you happy year round, whether you’re a couple, family, group of friends or golfing party. Our closest village, Crail is probably the East Neuk’s most photographed village with its picture-perfect harbour. It’s also great to walk around, visit the Crail Pottery, galleries e.g. the artist-run The Crail Gallery, fishing harbour (you can buy live, fresh or cooked crab and lobster at the stall in season) and beaches followed by a coffee, cake or panini outdoors overlooking the sea at the Crail Harbour Gallery (Tel: 01333 451896, open 7 days), with its magical views over to the Isle of May. (Map and more info on About Crail website). Who doesn’t love a beautiful beach? 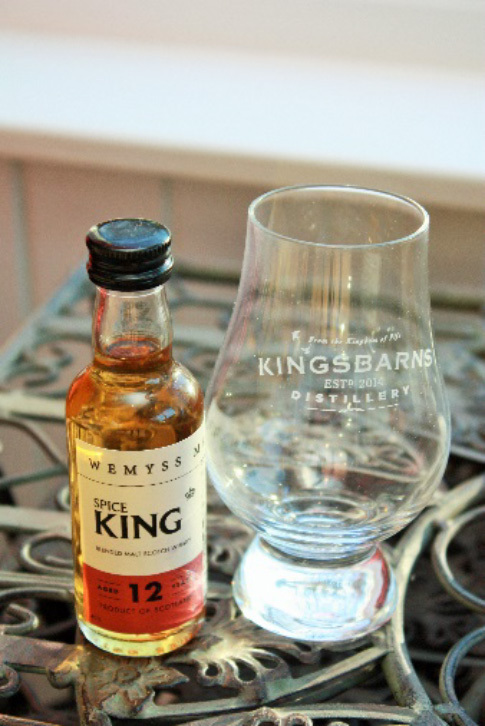 Our favourites can be found at Kingsbarns, St Andrews and Elie. There is also a huge, wild beach in Tentsmuir Forest (near Leuchars at the beautiful Eden Estuary) where you can see seals in low tide. 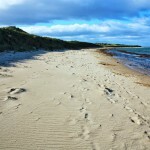 Enjoy the beaches while getting some exercise with the Fife Coastal Path, Scotland’s longest continuous coastal path (117 miles in total). I particularly recommend four walks on this spectacular walkway: (i) Kingbarns beach to Crail (ii) Crail to Anstruther (iii) St Monans to Elie (followed by a drink in the Ship Inn pub – AA Pub of the Year for Scotland 2016-2017) and (iv) From Earlsferry up the hill towards Shell Bay for great views, then back to the 19th Hole pub in Earlsferry. There is an option to walk one way then get the Stagecoach No. 95 bus back. It’s like being inside a nature programme! This genuinely unspoilt island with its wonderful wildlife including seals, puffins, rabbits and generally thousands of sea birds makes for an unforgettable day trip. It’s like being inside a nature programme! 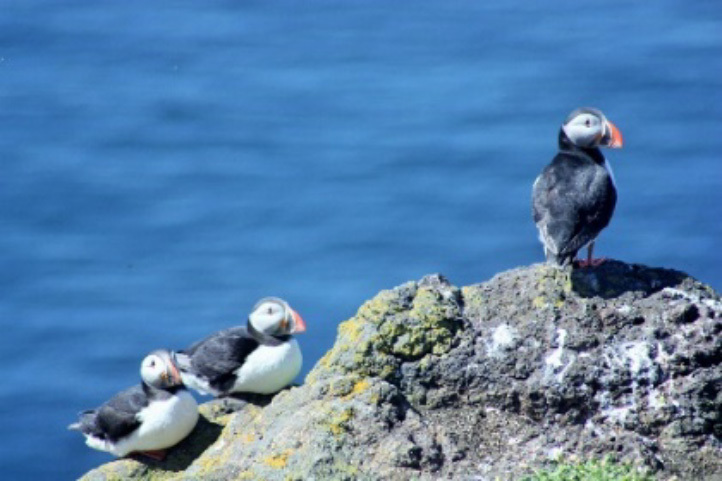 The boat trip (Tel: 01333 311808 or 07908 996725) to the Isle of May takes up to about an hour each way from Anstruther harbour (April-September – April-July is best for puffin and other seabird viewing) and you get around 3 hours on the island. Practicalities: Take warm layers, waterproofs and food and drinks with you as there is no shop on the island, although you can buy refreshments on the boat. There are toilets on the boat and island. One sailing per day except some Tuesdays. New from August 2015 is a daily boat trip from Anstruther to another great coastal town right over on the other side of the Firth of Forth: North Berwick. It’s a quick catamaran crossing which only takes 45 minutes and makes for a fun day trip. There’s no extra charge for taking bikes or golf clubs with you either. Full details in my blogpost. This really is the place to be if you’re a golfer. 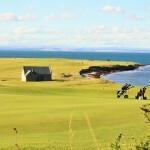 As luck has it the legendary links courses at Crail (Tel: +44 (0)1333 450686, info@crailgolfingsociety.co.uk), Kingsbarns (Tel: +44 (0) 1334 460860 or 1-800-441-1391 toll free from US and Canada, info@kingsbarns.com), Elie (Tel: +44 (0)1333 330301, book@golfhouseclub.org), one called The Old Course you may have heard about (!) and numerous other fantastic golf courses (see the Fife Golf Trails for more information) are all easily played from Rose Cottage. If you prefer your golf a little on the crazy side try The Himalayas – the public putting green in St Andrews, so named because of its challenging hills! Or there’s lots of fun to be had playing old fashioned hickory golf, 1920s-style at Kingarrock near Cupar. Stroll along the endless sandy beaches, pier and harbour, enjoy the boutique shops, have some Jannettas ice cream, visit historic sights like the Cathedral (including views from the top of St Rule’s Tower) and Castle, peak into the imposing University buildings, visit the Aquarium or museums, enjoy the tranquillity of the Botanic Gardens, Lade Braes walk (1.5 miles one way) or the adventure parks and rides at nearby Craigtoun Country Park. A great way to take it in is on foot starting at the Cathedral, walking through to see the harbour and pier then back along the Scores past the Castle, University buildings and Old Course to West Sands beach. Then back to Market Street to explore the town centre. After your walking tour relax, while enjoying views of the Old Course and sea, with a coffee or something stronger at the British Golf Museum cafe, Jigger Inn or Roadhole bar, Old Course Hotel. The St Andrews shops are great – lots of the best national clothing chains for casual wear are here, such as Joules plus lots of great one off shops, such as Bonkers gift shop (doesn’t really live up to its name, just a nice gift shop) and Farmore Interiors. Give yourself some time and wander along South Street, Market Street and the two main streets in between (or also down to Golf Place for golf shops) and enjoy browsing. As many a university student can testify, St Andrews is also lots of fun by night so if you fancy a night out in St Andrews try The Adamson cocktail bar for some glamour, The St Andrews Brewing Company’s Brewpub to discover craft beer and cider, The Criterion or Central Bar for a traditional pub and Forgan’s for a fun ceilidh (traditional Scottish dancing) night. See the Visit St Andrews site for more details or download their app from the App Store. Just 20 minutes’ walk (or 5 minutes’ drive) from Rose Cottage is Cambo House (on the B917 near Kingsbarns, Open daily year-round 10am-5pm. Charge for adults, kids free. 01333 450313) with its lovely walled garden, woodland walk, pigs, plant shop, and popular seasonal events (e.g. “Snowdrops by Starlight” and “Cambolicious” craft beer festival.) 5 miles from Rose Cottage is National Trust of Scotland’s Kellie Castle, where you can visit the castle, lovely gardens, café and woodland walks and even buy some of the seasonal veg they grow (Garden and Estate open year-round, Castle and shop April-October, Tel: 0844 493 2184). Around 30 minutes’ drive away is National Trust of Scotland’s Hill of Tarvit Edwardian Mansion, which is well worth a visit for its display of antiques and paintings, old-fashioned hickory golf (on the 9-hole Kingarrock course) and plethora of fun activities for all of the family (croquet on the lawn anyone?) as well as woodland and hilltop walks (Garden and grounds open year-round, Mansion, tea room and shop April-October, closed Tuesday and Wednesday except in July and August, Tel: 01334 653127). Slightly further afield again (about 40 minutes drive) is Falkland Palace, home of Scottish kings and queens of old. The palace, gardens and beautiful surrounding town of Falkland are well worth a day trip. Finally check out the new Angus-Fife Gardens Trail or visit the lovely gardens at nearby, privately-owned Wormistoune House, Wormiston (just a 5-10 minute walk from Rose Cottage) year round by arrangement – email the Head Gardener, Katherine Taylor on ktaylor.home@googlemail.com or phone 07905 938449. Or for a unique Cold War experience go underground into Scotland’s Secret Bunker, only 3 miles from Rose Cottage on the B9131 (Open March-October 7 days 10-5. Tel: 01333 310301). This is where the chosen few Scots would have come in the event of a nuclear attack during the Cold War and where Scotland would have been governed from. Don’t miss a visit to the tea room to complete the experience of being in a bygone era. Open March-October. For cyclists there are lots of cycle routes – see the Outdoor Fife site for details. If you prefer four legs to two wheels there are various stables which offer horse-riding e.g. Kilconquhar Castle Estate Equestrian Centre, near Colinsburgh (Tel: 01333 340501) or Barbarafield Riding School, Craigrothie, near Cupar (Tel: 01334 828223). For all types of watersports there is East Neuk Outdoors in Cellardyke Park, beside Cellardyke Harbour (Tel: 01333 311 929). There’s go karting / dragster racing in Crail – on the road to the golf course. You can also sail on the West Sands in St Andrews – land yachting which is like a go kart going along the beach with a huge sail attached – with Blown Away Experiences (Tel: 07784 121125). Feel all of your stresses melt away with some spa time at the fabulously indulgent Kohler Waters Spa at The Old Course hotel, St Andrews. Enjoy the rooftop Jacuzzi pool, indoor pools, sauna, steam rooms, spa café and a wide range of the latest treatments. The Fairmont Hotel just outside St Andrews is another excellent and family-friendly spa option – we love a post swim lunch in the Clubhouse with its amazing vista of the St Andrews skyline and coast. New on the St Andrews spa scene is the Eden Spa (featuring my favourite UK beauty brand, ESPA) at the new 5 star boutique Kinnettles Hotel, 127 North Street. No pool but the Jacuzzi, steam room, sauna and nail bar look great from the photos and this is next on my must try list! Our neighbour is a whisky Distillery! Just 10 minute walk from Rose Cottage is the Kingsbarns Distillery – tours are available and there is a free exhibition plus a shop to purchase blended and malt whisky, gin and wine and a nice café if you prefer a hot chocolate. If you prefer beer there are brewery tours at The Eden Mill, Guardbridge Mill, near Leuchars (£7.50 including free tasting, booking required, Tel: 01334 834038) or sample The St Andrews Brewing Co’s craft beers in their excellent pub on South Street in St Andrews – Mr ENB and I love their “Crail Ale”. Eden Mill now also produces gins created from locally sourced botanicals (we adore their “Love Gin”) and single malt whiskies, which I’m looking forward to sampling. One to watch is Daftmill Distillery, Cupar – it’s one of Scotlands newest and smallest malt whisky distilleries but their whisky is not yet ready. It’s busy maturing in their bond so they’re asking us to be patient in the meantime. As for nibbles, a lot of great food is produced in Fife so there is an abundance of excellent farm shops and delis selling delicious local produce, such as the St Andrews Farmhouse Cheese Company near Anstruther, Ardross Farm Shop near St Monans, and Allanhill Farm and Balgove Larder near St Andrews. Discover delights such as Anster cheese and juicy local strawberries and find out what a “Sair Heid” is at a local baker’s shop like Barnett’s or Fisher and Donaldson. Keep your eyes peeled for local concerts to experience the real East Neuk and the remarkable wealth of musical talent it and the wider Kingdom of Fife have produced (some are also posted on my Events page or in my blogposts or try Dreel Halls or Alter Ego Trading Company). My top tip is to check out the regular Thursday and Saturday night live local music nights at the bar at the East Neuk Hotel in Crail. Favourite acts include King Creosote (a regular performer at the East Neuk Hotel), Lidh and James Yorkston but lots of others are also great and all best experienced live with a pint of local beer in hand. The book “Songs in the Key of Fife” (see my Local Books page) is worth a read for a fascinating insight into the lives of local musicians. A 50 minute drive will take you over the Tay Bridge and into Scotland’s newest and most exciting museum, V&A Dundee (10.00-17.00 daily, free admission except for exhibitions). Like an enormous, silvery boat perched on the water’s edge, the building is a modern masterpiece. Inside you’ll find world-class design exhibitions such as the incredible Ocean Liners: Speed and Style (until 24 February 2019), including objects from the Titanic. I can’t wait for the next exhibitions, which are Videogames: Design/Play/Disrupt (20 April to 8 September 2019, coming from London) and Hello, Robot. Design between Human and Machine (2 November 2019 to 23 February 2020, coming from mainland Europe). 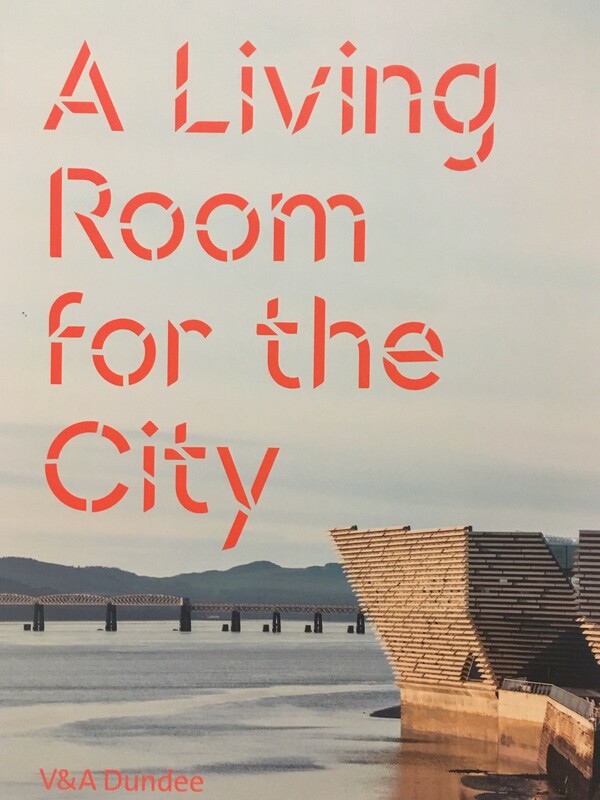 These exhibitions compliment the Scottish design galleries (free entry), a restaurant with a great riverside view, a more casual cafe and an excellent design shop. It really is THE museum in Scotland to visit in 2019. After seeing the V&A check out the RRS Discovery, the ship that took Scott and Shackleton on their first expedition to Antartica. The ship and museum are right beside the V&A at Discovery Point. Or little ones will love the Dundee Science Centre, just a short walk away on Greenmarket. 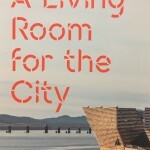 Then you could take in the rest of the Dundee waterfront, lunching at one of the museums or at Malmaison hotel.